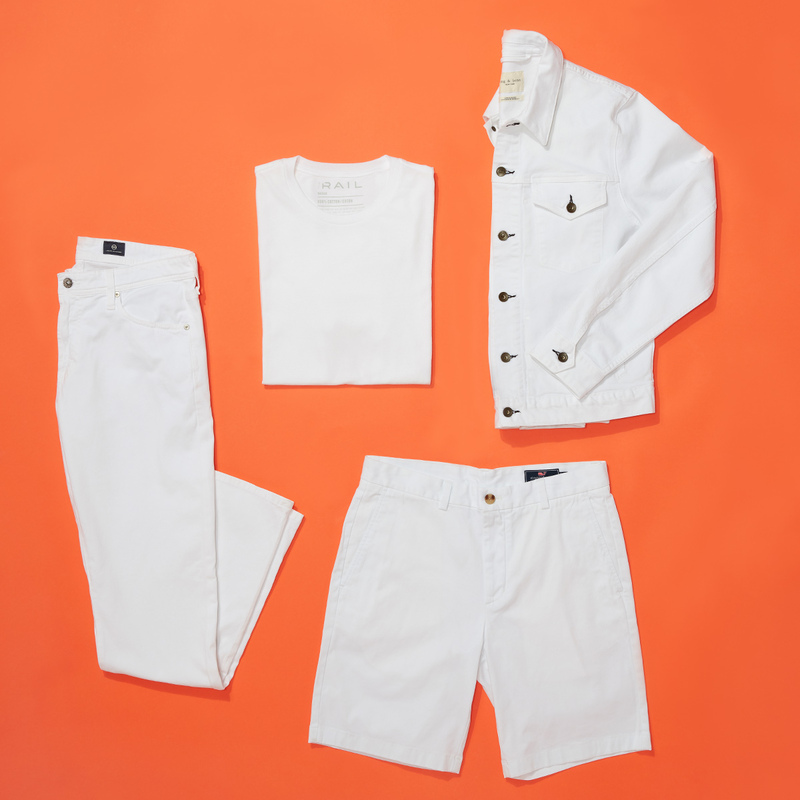 White clothes are synonymous with warm weather, making them perfect to wear now. They create a clean, breezy vibe, and can elevate a basic look into a stylish ensemble. Of course, wearing white can be a challenge if you're not used to it. With a little guidance—and a spin through the picks below—this bright summer statement is as easy to style as the wear-with-anything black staples in your closet. Let’s break it down according to your style preferences. 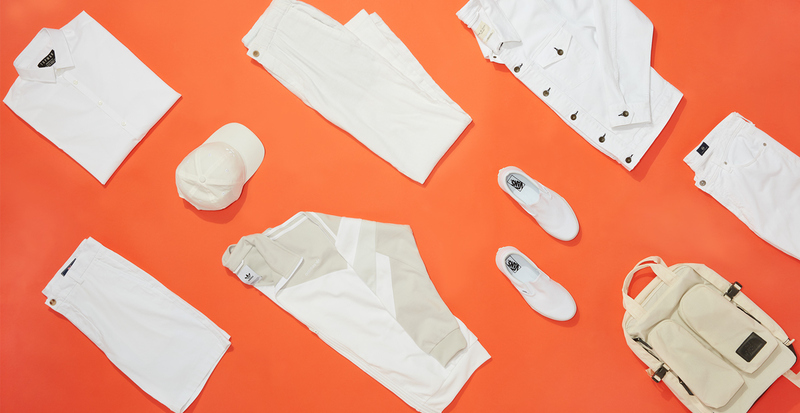 Clean white and athleisure go hand-in-hand—try a baseball cap or fresh kicks. Add off-white to the mix with a sporty accessory, like a structured backpack. When in doubt, you can’t go wrong with a polo. 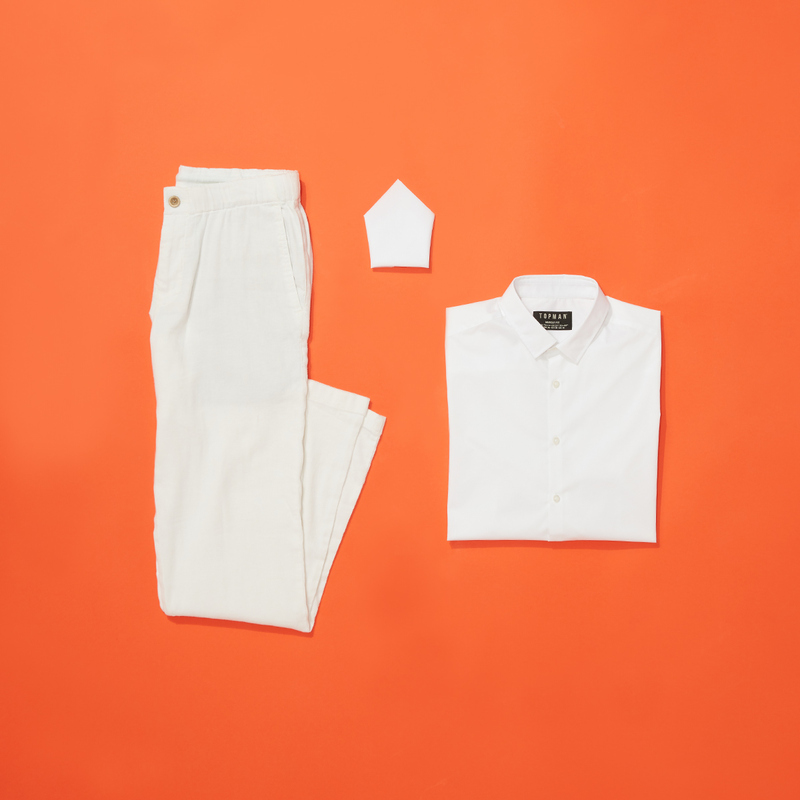 Ease into wearing white with classic staples that never go out of style. A white tee is the enduring symbol of casual-cool, much like a well-worn pair of jeans—and you can wear those in white, too. Top off the look with a denim jacket. For a more tailored look, opt for an off-white sport coat as a handsome alternative to darker layers. White trousers are perfect for summer, while a pocket square lets you try out this hue without major commitment.